We want you to stop to think about your water heater for a minute. You've got to get your child to soccer practice, attend a PTA meeting, and get home in time to fix dinner! Who has time to think about the water heater! We guarantee it will be the first thing on your mind when you wake up to an ice cold shower. Whether you own a small home or are in charge of a large commercial building, it's always better to prevent a problem than to deal with one when it happens. We can help you keep your water heater(s) in tip top shape. We can also repair and replace them when necessary. 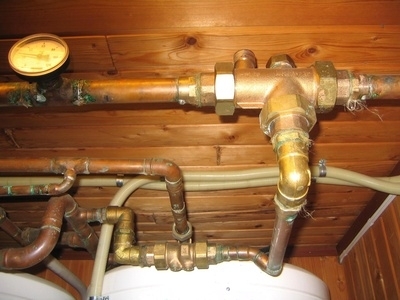 It depends on the problem and how old your water heater is. If only one part has broken and is only 1-5 years old, it will probably be worth-it to fix it. Most will still probably be under warranty, so it shouldn't cost you much. However, if the entire system is corroded, malfunctions, or is more than 6 years old, it will be better to replace it. It is nearing the end of the warranty and will likely suffer more problems in the near future. Whether you choose to repair, replace, or maintain your water heater, we can provide you with expert service. If your heater breaks we will give you our expert opinion on whether you should repair or replace. We carry all the major brands of electric, gas, and electric heaters. We install the top brands of tankless water heaters, too. Whatever your water heater needs, we can deliver and fix or install within hours!